The COOL*SAFE® ice packs make the COOL*SAFE® cool bag range complete. 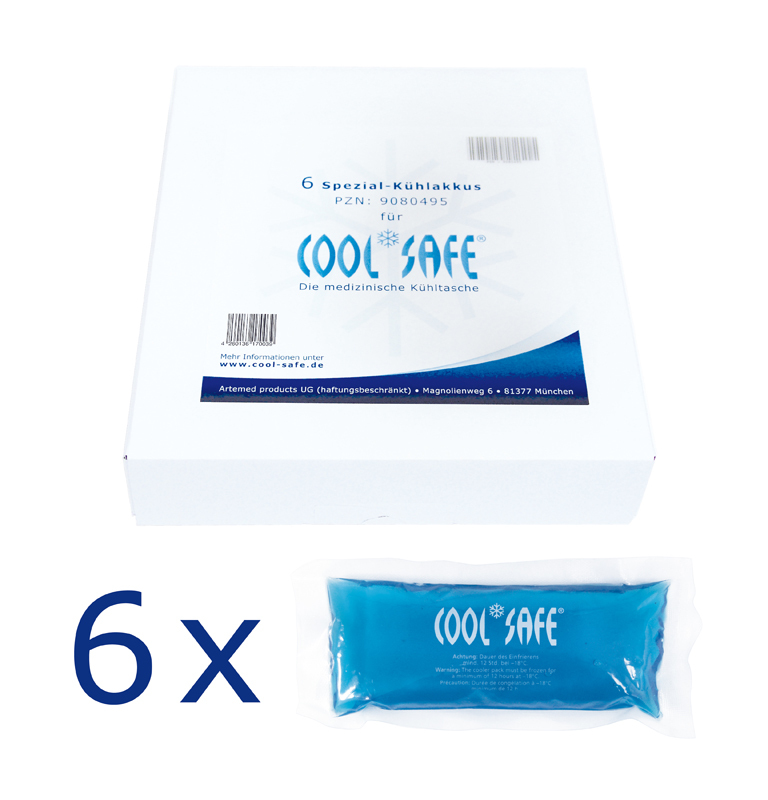 With these ice packs, specially designed for COOL*SAFE®, you are gaining an optimal cooling result. The COOL*SAFE® cool bags and the COOL*SAFE® medicine cooling backpack must only be cooled using these ice packs to ensure the cooling duration as mentioned above is achieved and so as to guarantee that the transported items do not become frozen. Thanks to their compact and user-friendly size the COOL*SAFE® ice packs fit in any freezer compartment. Recommendation for every end customer/patient: Buy one or two additional ice pack sets to give yourself more mobility! This way you can always have one set in use while one or two other sets remain frozen and ready for use at any time.